Here’s another game that was introduced to me by my uncle Dave (who to this day, does the best impression of the monk from the first game out of anyone I know – “WOLOLOOOH!”) Anyway, I learned more history from playing Age of Empires 2 than I ever did in school. I experienced the brutal horde of Attila the Hun as he ravaged old Europe. I followed the rise of El Cid, and helped Ghengis Khan flood across Asia. I can’t remember much else actually, because my mind always turns to making a plague of Persian elephants to send at my enemies, crushing all of their puny houses and stamping their cities into the dust, mwhahaha! Ah man, it’s an absolute classic game, the first strategy game I ever played and thanks to the recent HD remake, is still a lot of fun even 18 years later. Once during my travels around New Zealand, I ended up working as a vineyard labourer along with a whole bunch of other travellers. We were living in a grotty little house together, and needed to find ways to entertain ourselves after a hard day’s work in the various factories, vineyards and warehouses. A bunch of us had laptops and Age of Empires 2 ran easily on them because it’s such a low intensity game. We setup a miniature LAN party in the garage, using a table tennis table as the base and all sat around it waging epic 3 vs 3 or 6 player free-for-all battles. All connected via LAN through an Android mobile phone. It was fantastic fun, and a welcome dose of gaming that I never expected to find wile on the road, exploring a new country. A few beers, good company, and some healthy gaming competition – what better way to wind down in the evening after working your arse off all day? 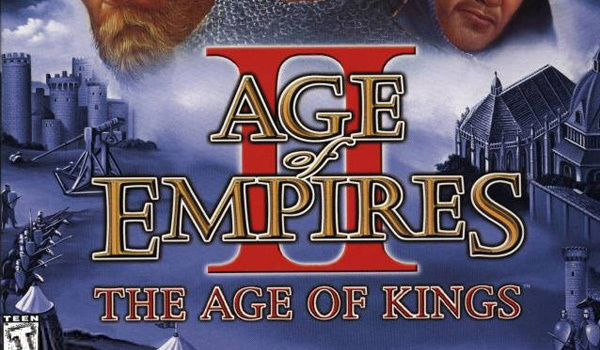 This entry was posted in Features and tagged age of empires 2, gaming memories. Bookmark the permalink.